Tickets are now available for Bill’s live Lineage II concerts this June in Moscow! Check out Neoclassica for more info on the concerts (in Russian!). Creating a Career Composing for Games, Film, TV and Beyond. An Interview with Composer Bill Brown. Composer Bill Brown Discusses His Score to Ross Clarke’s Latest Film "Desiree". 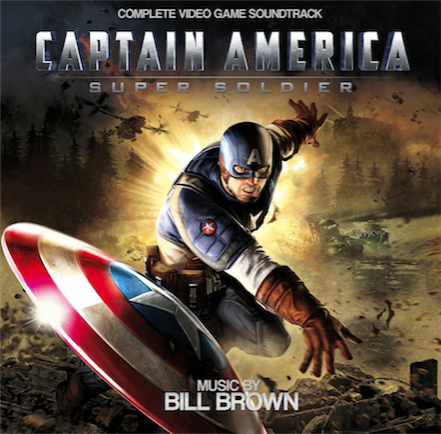 Award-winning composer Bill Brown is best known for scoring all nine seasons of the hit CBS series CSI: NY, as well as writing epic scores for games such as Wolfenstein, Lineage II, Captain America: Super Soldier and many more. His scores for film include The Devil's Tomb, with Cuba Gooding Jr., and Desiree, starring Ron Perlman. Accolades for his music include PCXL Magazine's Best Music Award for Tom Clancy's Rainbow Six, Nine BMI awards, and the Music4Games Editor's Choice Award. His scores have also received nominations from the British Academy of Film and Television Arts, the Game Audio Network Guild and more. Most recently Bill released Dreamstate, a personal album project that combines his passion for modular synths, piano and live orchestra. Bill resides in Los Angeles with his family, and is represented by Randy Gerston at Fortress Talent Management.